I have finally acquired a .58 Schubarth! 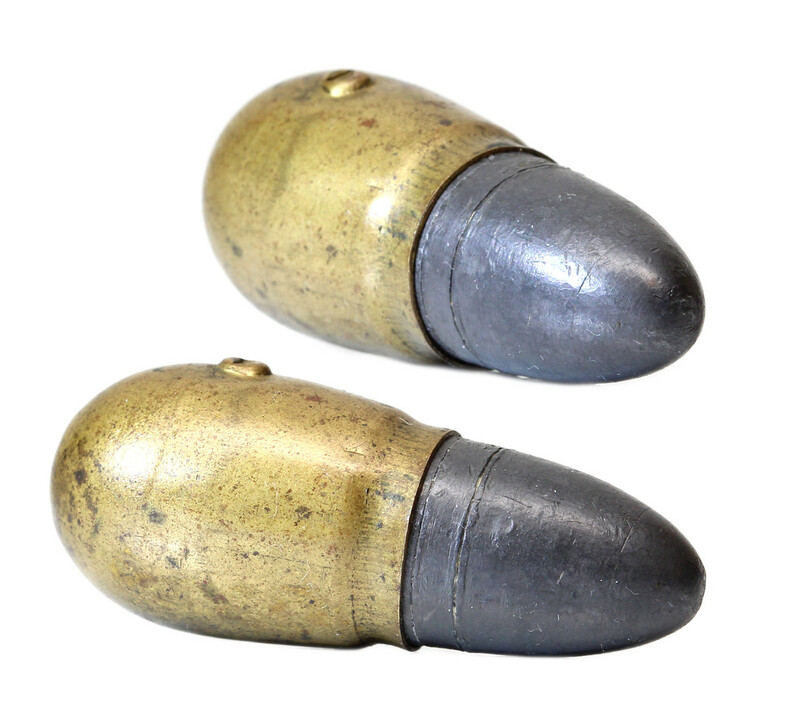 It is one of the more desirable American cartridges and seems to trade for insane prices. There are only around a dozen known to exist. 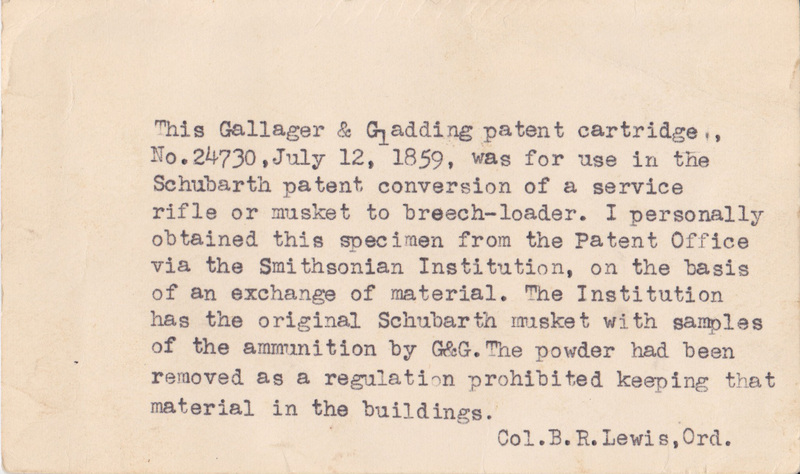 It was patented and made in 1861 by Casper D. Schubarth who resided at 6 North Main street Providence, RI. 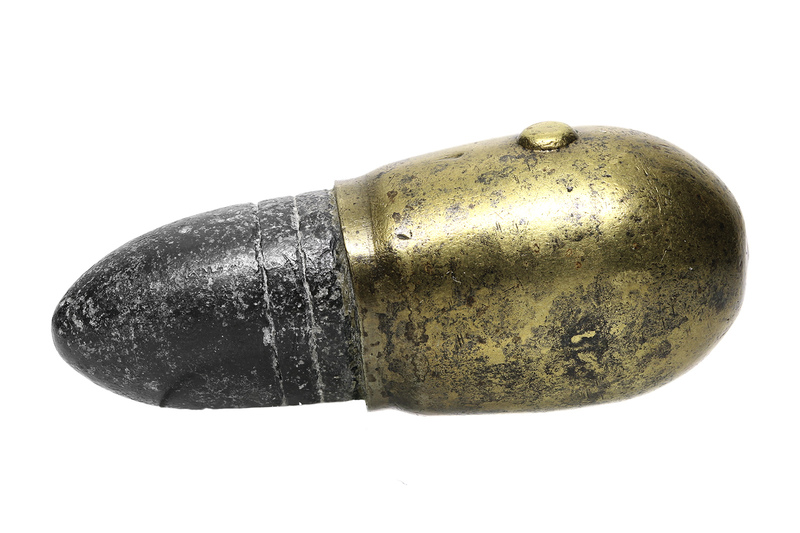 This particular example was once owned by Colonel Berkeley R. Lewis of the United States Army Ordnance Corps. 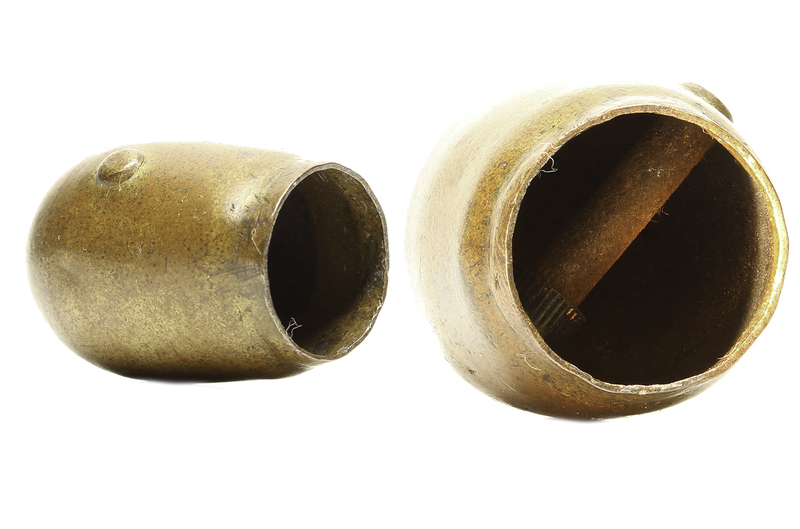 He acquired it from the Smithsonian Institution. 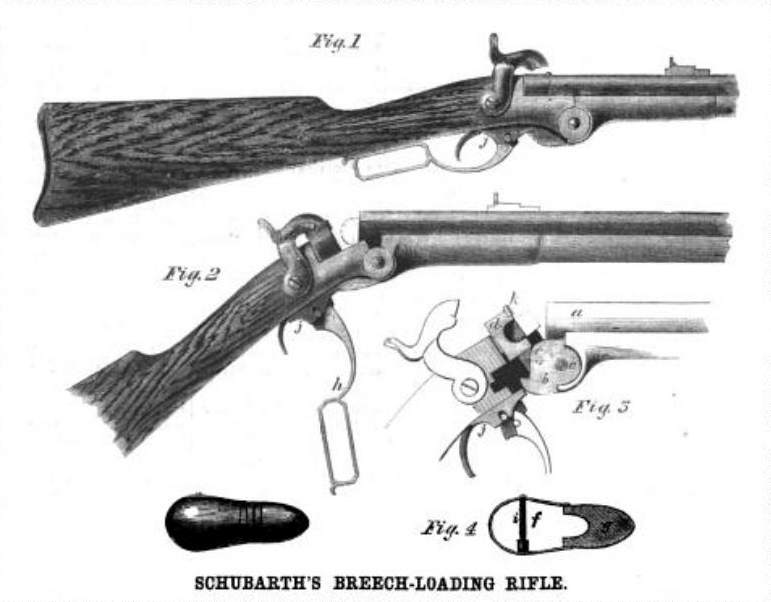 The whole idea of the cartridge and rifle is based on a modification and improvement of Gallager & Gladding’s cartridge and rifle that was created a couple years prior. 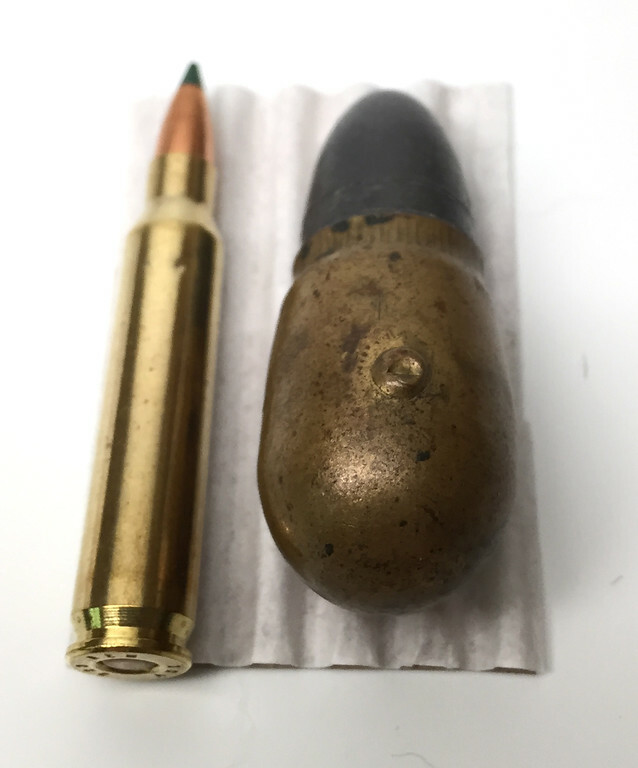 I have new pictures of the Gallager & Gladding cartridge that I will feature in my Journal column (which is currently detailing the relationship of pinfire cartridges and the United States) sometime in the next few months. Schubarth’s improvement was essentially to make it waterproof. It is an inside-primed pinfire. 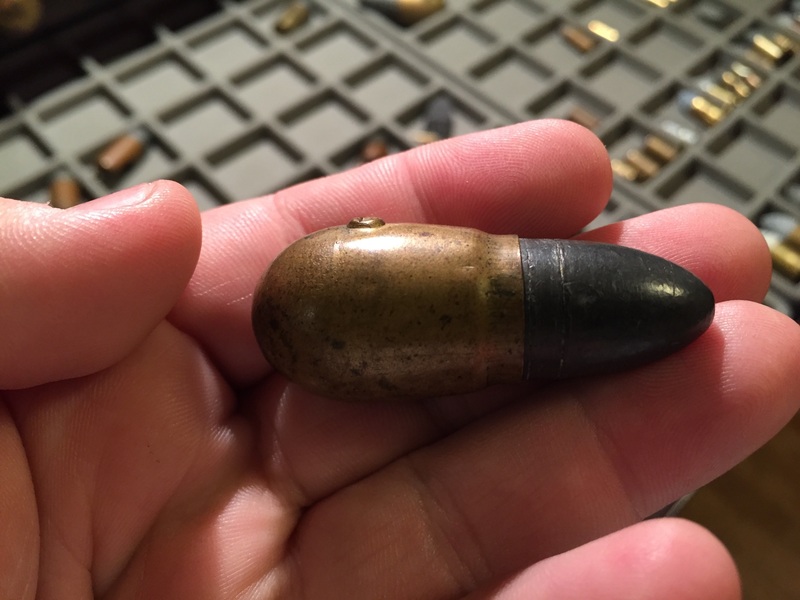 I believe his intentions were to make it easily reloadable with Minié balls and was offered to the government which did not decided to purchase it. 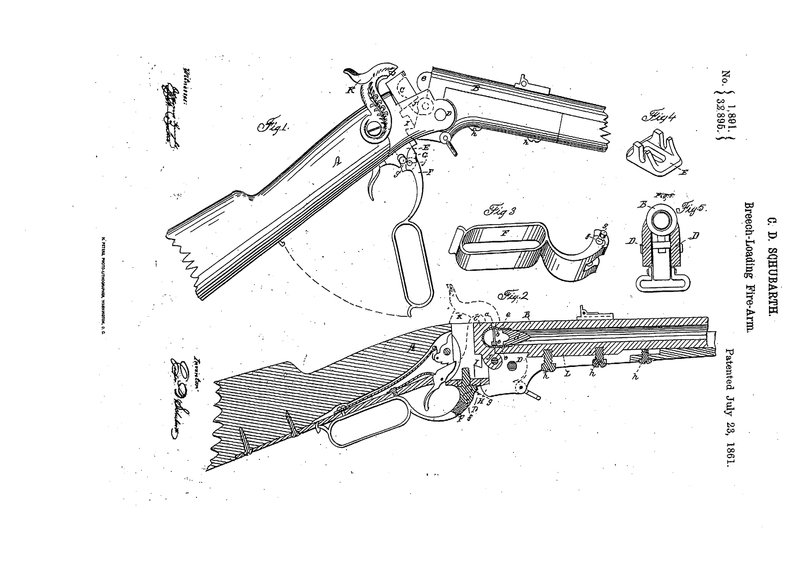 Also, here is the patent, and an image of it beside a .223 for scale.